The House Plan Shop Blog » Why Build a GREEN Home? Why Build a GREEN Home? When it comes to building a new home, there are many benefits to gain by using green building methods. From choosing earth-friendly materials to following environmentally-friendly practices there are several things you and your builder can do to make your new home green. So why build GREEN? Green building and living is the way of the future. With every choice we make we have the option to protect our environment and planet or endanger them. Building a home makes a huge impact on the environment and landscape. Making responsible choices and decisions throughout the construction process helps protect the environment, our resources and our health. It is important that we do our part. Making an effort to use green materials will help lesson your carbon footprint. (A carbon footprint in the amount of greenhouse gas emissions caused directly or indirectly by an individual, organization or an event such as building a home.) Choosing local materials to finish your home will have less of an impact on the environment than selecting materials that must be shipped from far locations. Also, when clearing your lot, only clear the space that is necessary to build the home. Leave as many mature trees and as much shrubbery undisturbed as possible. This will leave the established ecosystem in place providing homes to resident animals and insects, allowing trees and greenery to produce oxygen and provide shade reducing your summer cooling bills. Plan to use sustainable materials when building your home such as bamboo flooring. Bamboo grows much more quickly than other timber allowing it to replenish itself in a fraction of the time it takes for hardwoods and exotic timber to reproduce. Choosing sustainable materials prevents exploitation of natural resources. Select and install water-conserving appliances and fixtures such as low-flow toilets and shower heads. Purchase a water-conserving washing machine and dishwasher. Not only will these choices help protect our water supply, but they will also reduce your water bill. Choose green products to finish the interior of your home such as formaldehyde-free building materials and low-VOC (volatile organic compound) paints. These healthy alternatives help prevent respiratory problems that can arise when using traditional building materials. So, before you build your new home, talk with your builder about these green building practices and other things you can do to make earth-friendly choices throughout the construction process. 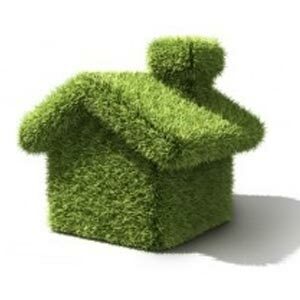 For more information, check out these articles about green building.